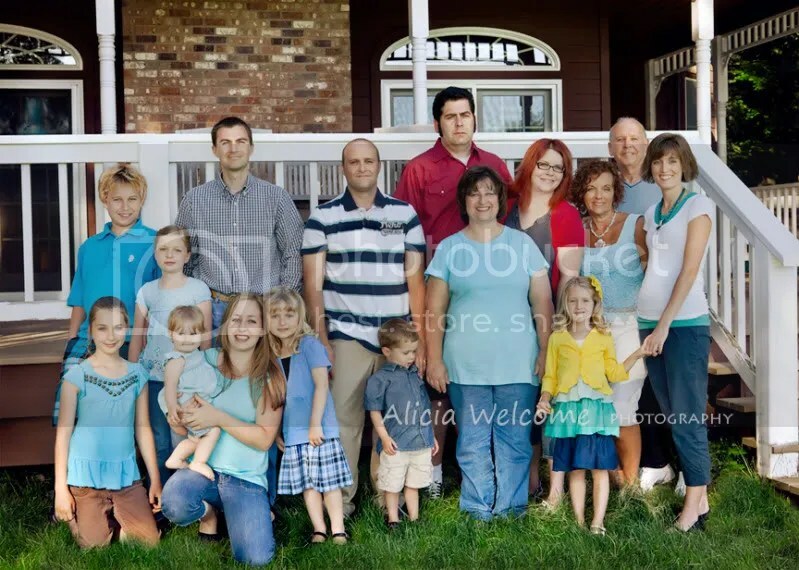 Over the holiday weekend I had the pleasure of shooting this great group for their family reunion. The weather was gorgeous… almost TOO gorgeous since we had to fight the sun the entire time…. and everyone did well despite the heat, and the fact that they must have been starving since it sounds like they hadn’t eaten dinner before I came! Normally I like to put up somewhere between 1-3 sneak peeks a day or two after our session, just to make the wait a little easier for the full gallery, but with the holiday weekend I was traveling and doing the family thing myself. I think a bit of compromise was in order this time. Rather than make them wait longer…. since I am sure they are dying to see at least one…. I decided to work on my favorite group shot and get that up tonight! So here it is! Thanks again for the opportunity to work with your family, and I hope you enjoy your little sneak peek. Now I will get back to working on your full gallery.